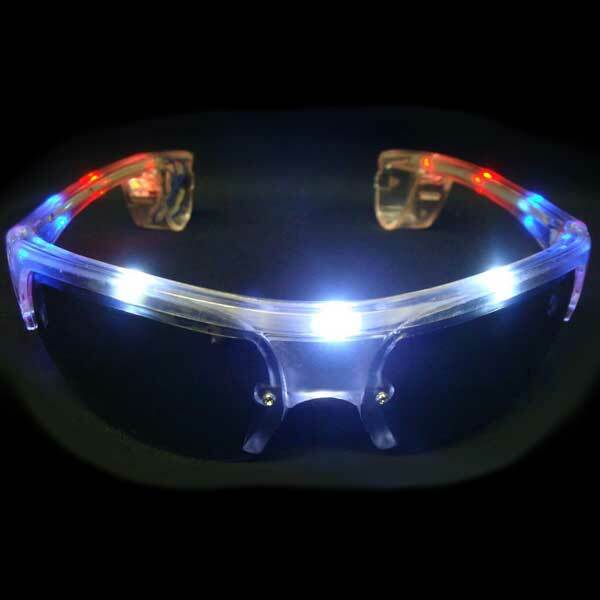 Be the star of any rave or party with these cool LED flashing shutter shades! They are lensless and flash with multiple LED lights positioned around the frame. 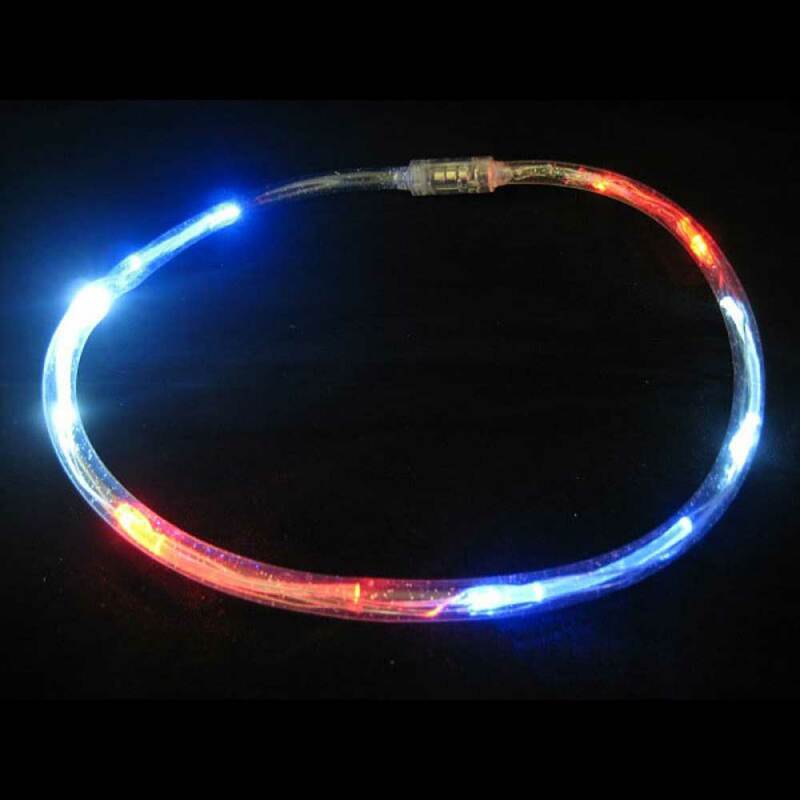 Available with Red, Green and Blue LED's (multicolor), or in solid LED colors. Three AG-3 button cell batteries are in the bridge and are replaceable. These shades feature shutters across the eyes and no lenses. 3 modes: fast flash, slow flash, solid on. Battery compartment and mode switch in the bridge. 3x AG-3 button cells provide hours of run time. Requires a small Phillips screwdriver to replace batteries. Packed individually in cellophane, then 12 per bulk box. 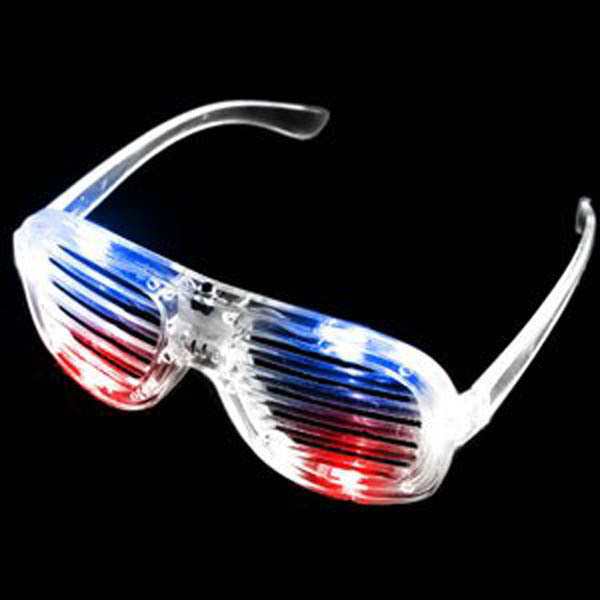 Available in these cool colors: Comes with Red, White and Blue LED lights - Perfect for 4th of July, or ther USA-themed events!